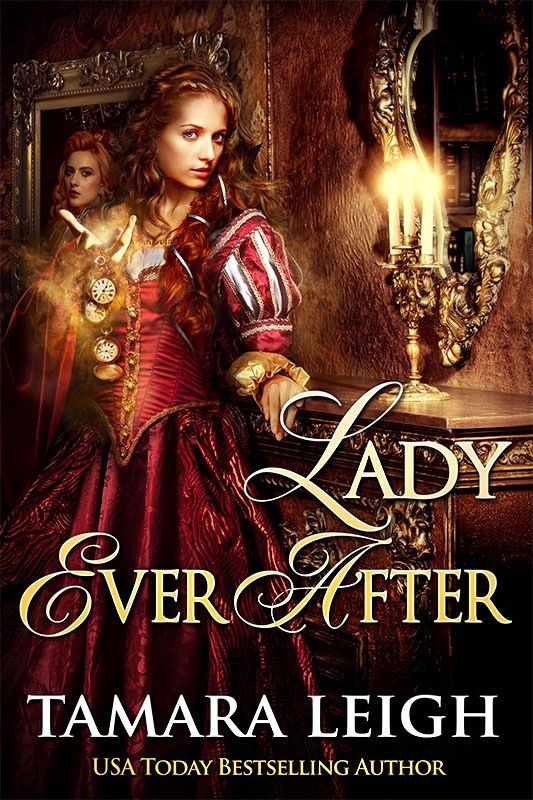 This episode of Evolution of a Cover brought to you by LADY EVER AFTER (Fall 2016), the rewrite of my 1997 HarperCollins medieval time travel romance, UNFORGOTTEN, featuring 15th-century Lady Catherine Algernon and twenty-first-century Collier Morrow. From start to finish, the process took approximately one week. 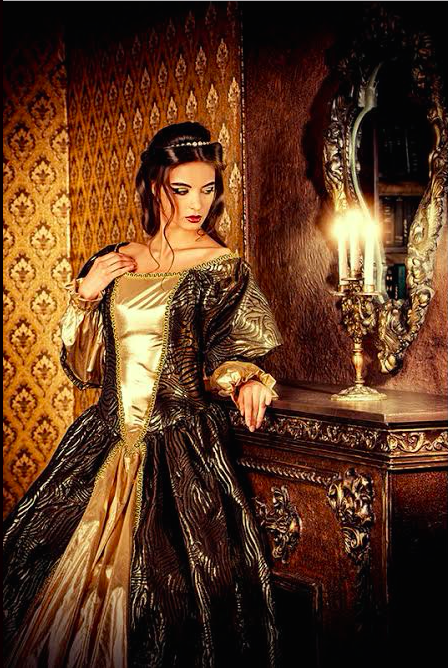 PART I: FINDING LADY CATHERINE ALGERNON ~ After another day in stock photo land, I presented my cover designer with this. Not exactly what I wanted, but if any graphic artist can make it uniquely Lady Ever After, it’s mine. And thank goodness she’s a first-rate photo manipulator since this model is now appearing in various poses on one romance cover after another. PART II: UNIQUELY LADY EVER AFTER ~ Now for the magic. My cover designer found this gorgeous model. 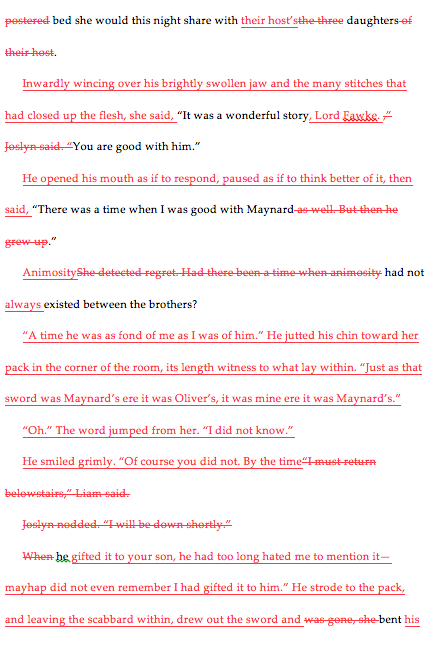 So…a face replace, a 15th century wardrobe change, and away we go! PART III: ALL THE RIGHT ELEMENTS ~ I love how the elements of the story are represented–the portrait over Catherine’s shoulder and the pocket watches pouring from her hand to represent time travel. And that gown–wow! So now let’s darken her hair (in the portrait as well). As for those amazing pocket watches, they need to be more prominent, perhaps falling out of her other hand since they’re hard to see behind the title. PART IV: HAIRSTYLE, HAND PLACEMENT, GOWN, AND PORTRAIT ~ The beribboned tress over her shoulder is lovely, but the style doesn’t fit the rest of her hair. More locks? More length? A braid? The pocket watches look better on that side, but the hand is too high and hard to see against the skin of her chest. Her right sleeve doesn’t match the left, not only in style but color. Now the portrait–can you narrow it so the subject appears centered in the frame and darken the lady’s hair a bit more? PART V: PERFECTING LADY EVER AFTER ~ Hair color and style looking good, but the beribboned tress still doesn’t blend well with the shorter hair on either side of her face. This hand is much better, as well as its placement, and the sleeves match beautifully. Love the magical dust in the lower right corner. Can you add sparkle to the glow around the pocket watches, like on Dreamspell’s cover? PART VI: TA DA! 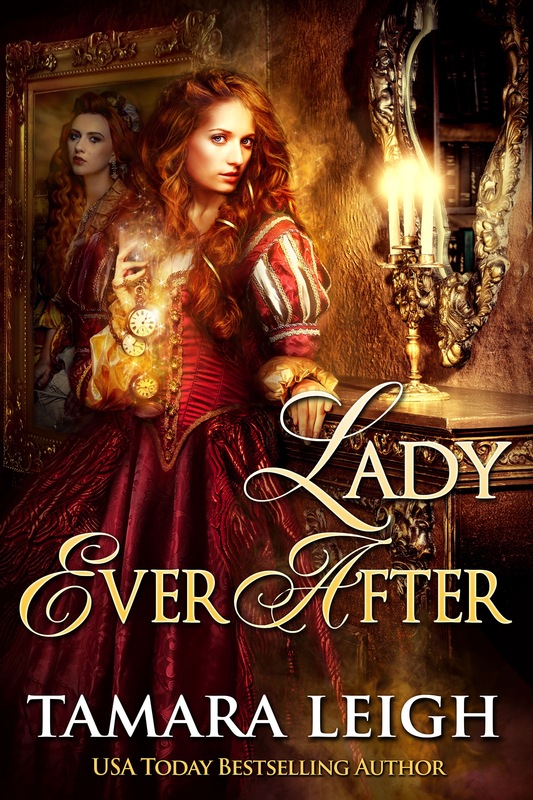 ~ The finalized LADY EVER AFTER. Happy dance time! Thank you for joining Lady Catherine and me. 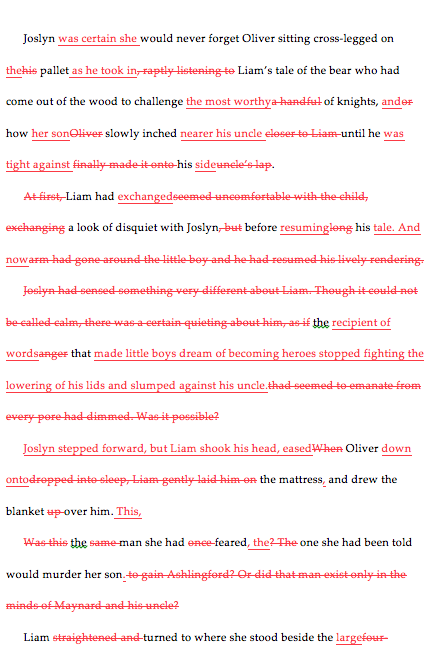 Now back to the rewrite! England, 1308. Boursier, De Arell, Verdun—three noblemen who secretly gather to ally against their treacherous lord. Though each is elevated to a baron in his own right and given a portion of his lord’s lands, jealousy and reprisal lead to a twenty-five-year feud, pitting family against family, passing father to son. England, 1333. 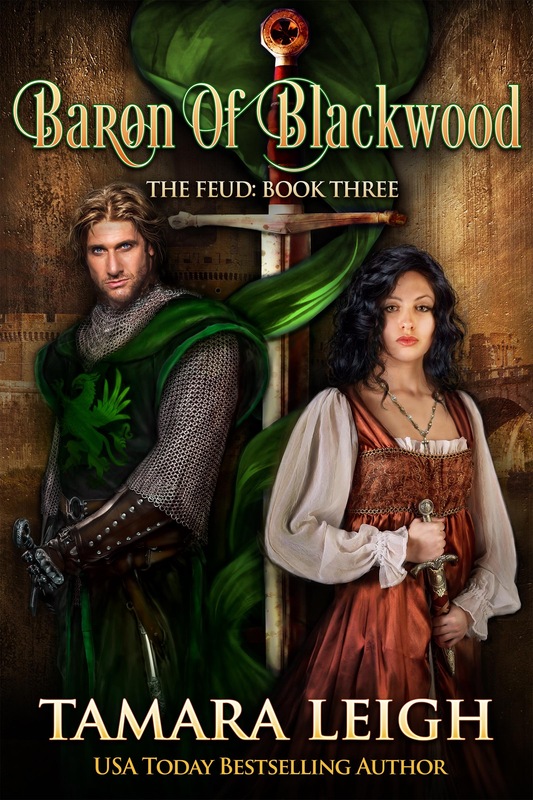 When Lady Quintin Boursier leads an army against the Baron of Blackwood to demand the release of her abducted brother, she finds the same fate awaits her. Now she must free herself and discover where Griffin de Arell holds her brother before her family’s lands are forfeited. But as the long winter nights unfold and those prowling the black wood move the feud nearer its deadly end, Quintin realizes she may have wronged her captor. And he is as much a captive to her—she whose secret will spoil the prize others seek to make of a woman no man should want. Baron Griffin de Arell protects those who belong to him, and now that the tempest who dared put a blade to his throat is his, he intends to protect her—if only from herself. However, Quintin Boursier yet has games to play. 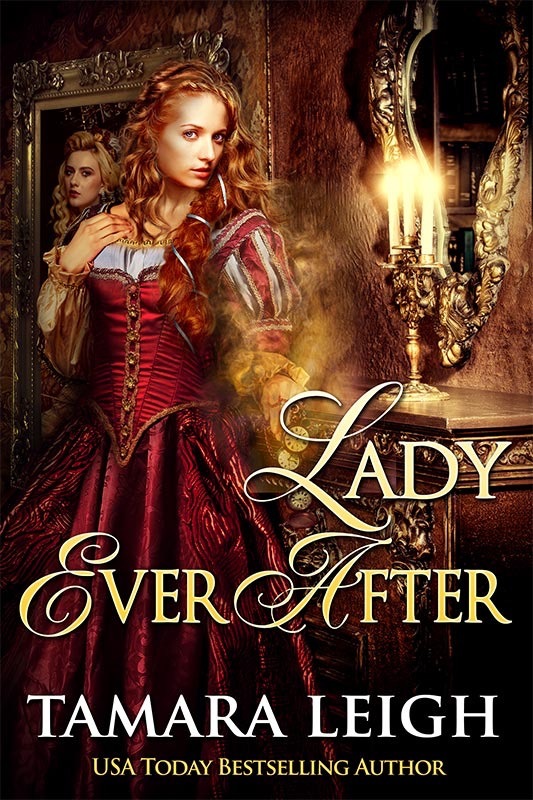 Though Griffin resists her wiles, when it appears her family’s lands are forfeited, a glimpse of her woman’s heart tempts him to make the lady his in truth. Now with the enemy responsible for inciting the feud determined to claim her as his prize, Griffin must join his grudging allies in bringing peace to their lands and protecting the woman who first set herself at his walls—then his warrior’s heart. Join Griffin and Quintin in the third and final book in this best-selling medieval romance series as the Boursiers, De Arells, and Verduns seek the light at the end of their long, dark feud. 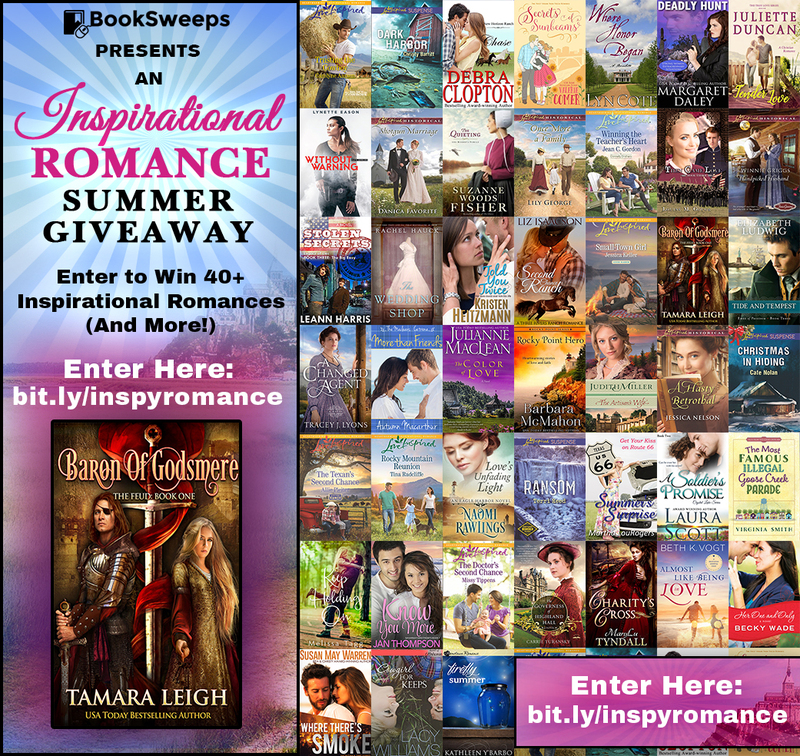 ENTER TO WIN A KINDLE FIRE ~ To celebrate summer, I’ve teamed up with 40+ inspirational romance authors to give away a huge collection of romances, PLUS a KINDLE FIRE to one lucky winner. You can win BARON OF GODSMERE, the first book in The Feud series, plus books from Rachel Hauck, MaryLu Tyndall, Susan May Warren, Melissa Tagg, Becky Wade, and others. LADY UNDAUNTED Audiobook Now Available! So very pleased to announce the Audiobook release of LADY UNDAUNTED, narrated by the beautifully talented Mary Sarah Agliotta. 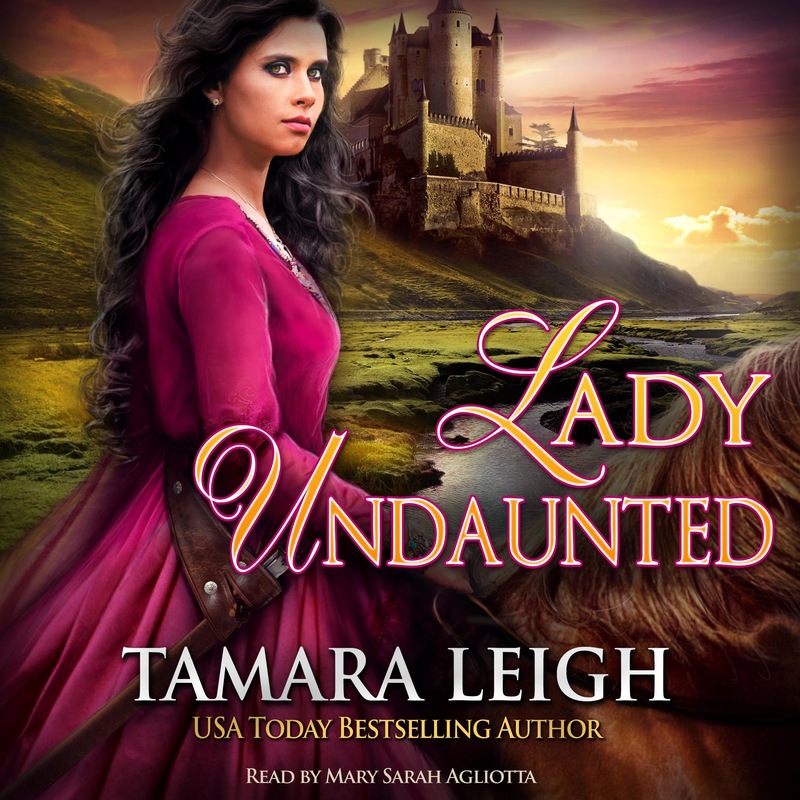 USA Today Bestselling author Tamara Leigh returns with a tale of betrayal, vengeance, and forbidden longing in Lady Undaunted, her latest historical romance set in medieval England. 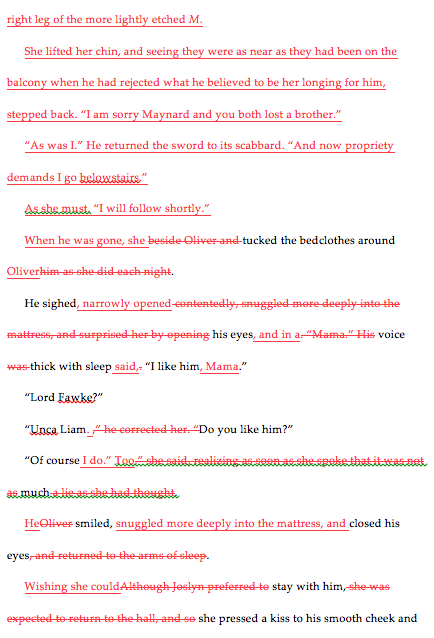 Declared illegitimate and denied his inheritance, Sir Liam Fawke has given six years of his life in service to his younger brother for the promise of being named heir to the Barony of Ashlingford. But when he is summoned to his brother’s deathbed, he learns his treacherous kin has secretly wed and fathered a son. 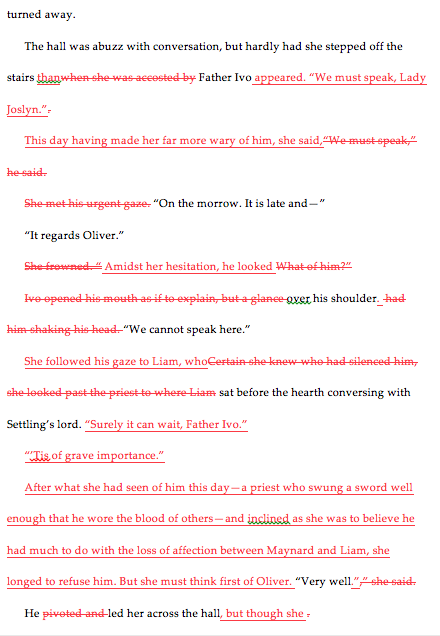 Vowing to claim what is rightfully his, Liam contests his nephew’s succession. And not only finds himself at dangerous odds with the boy’s lovely, spirited mother, but attracted to one who is forbidden him—one whose son is the means by which he could twice lose all. Three years ago, Lady Joslyn struck a desperate bargain to wed a nobleman and provide him with an heir. Now widowed, she must protect her young son from her husband’s vengeful brother who will stop at nothing—including murder—to take what does not belong to him. 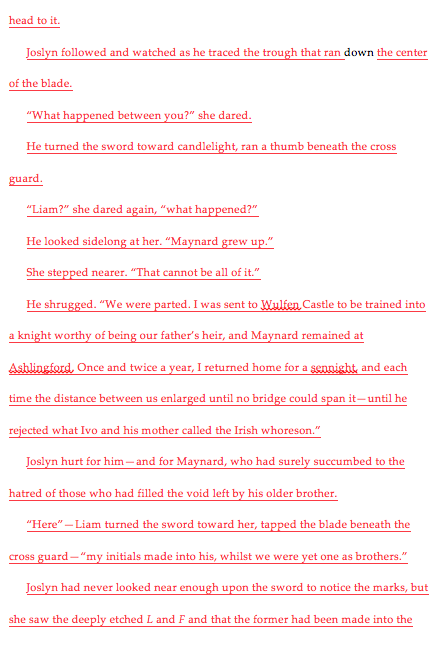 But when she seeks an audience with the king to secure her son’s inheritance, she discovers Sir Liam may have the stronger claim and that the truth of him could make lies of all she was led to believe. More unsettling, she is drawn to the man beneath the anger who can never forgive her for the part she played in his brother’s deception—nor forget to whom she first belonged. ~ The hunt BEGINS with Stop #1. ~ It is open to INTERNATIONAL entrants. 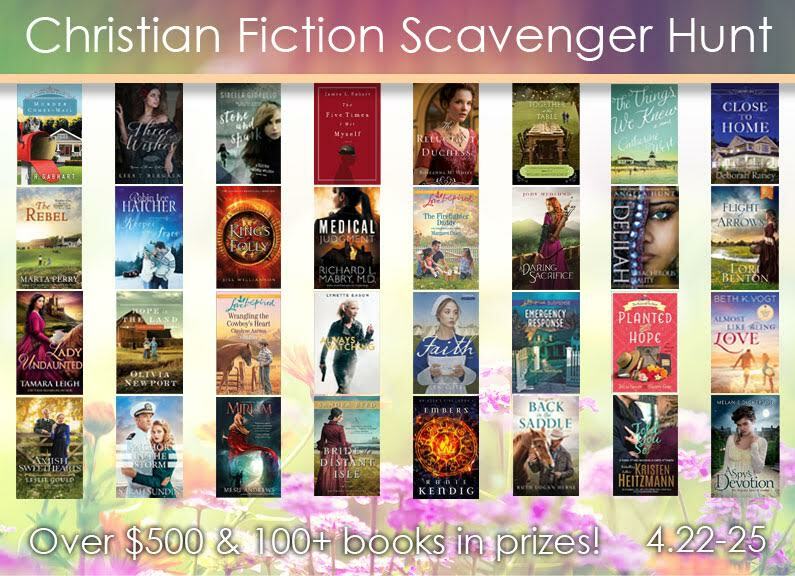 ~ PRIZES include 3 sets of all 32 books, $500 in Amazon gift cards, and many authors are offering additional prizes. ~ There is NO RUSH to complete this hunt—you have ALL WEEKEND. So take your time, reading the unique posts along the way. Our hope is that you discover new authors/new books you might want to learn more about! ~ Submit your ENTRY for the GRAND PRIZE at Stop #33 (back on Lisa’s site) by Monday night (4/25) at midnight mountain. LADY UNDAUNTED, releasing April 19, 2016, now available for PRE-ORDER at Amazon for $2.99 ($4.99 release day). Coming soon to iBooks, Kobo, and B&N.